LAKE FRONT! Magnificient Lake Location with amazing lake and mountain views. Beautifully upgraded and decorated twin home with open floor plan ideal for entertaining. 1824 sq. ft. with 2 BRs and 2 BA. Large master suite with sitting area. Fabulous 350+ sq ft lake/family room with incredible built-ins and bar. Custom fireplace in living room, Solatubes skylights, 18" porcelain tile in most rooms. Kitchen updated with quartz counter tops, top quality appliances and breakfast bar. Supplement, Brand new furnace, air conditioner and ducts April 15, 2017. Small 10 x 5 work shop (could be office, craft room) attached to garage. The Amazing extended patio (220 sq ft) makes fabulous entertaining. Boat dock is available if desired. Wonderful sunset views. Large driveway for additional parking. Walking distance to Country Club, new Decoy/Dockside Rest., Lake House Hotel, Marina and Tap-in Tavern. Water sports available; paddleboarding, kayaking, and party boats, plus fishing. Two beautiful golf courses. 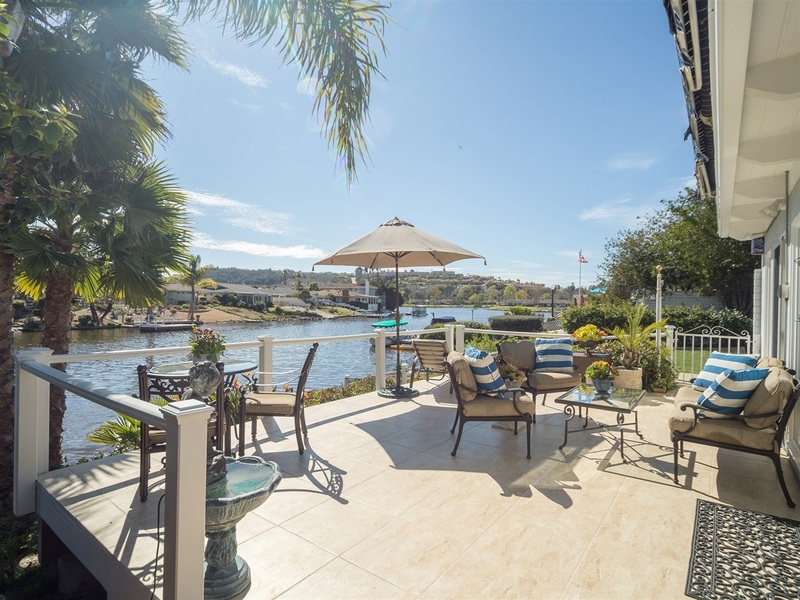 Live and Love the Lifestyle of Lake San Marcos; Boating, fishing, various clubs and organizations, tennis, golf, etc. Close to the "best" schools; San Marcos High School, Discovery Elementary, Palomar College and Cal State University. Located 15 minutes to beach, and between Hwy 5 and Hwy 15.